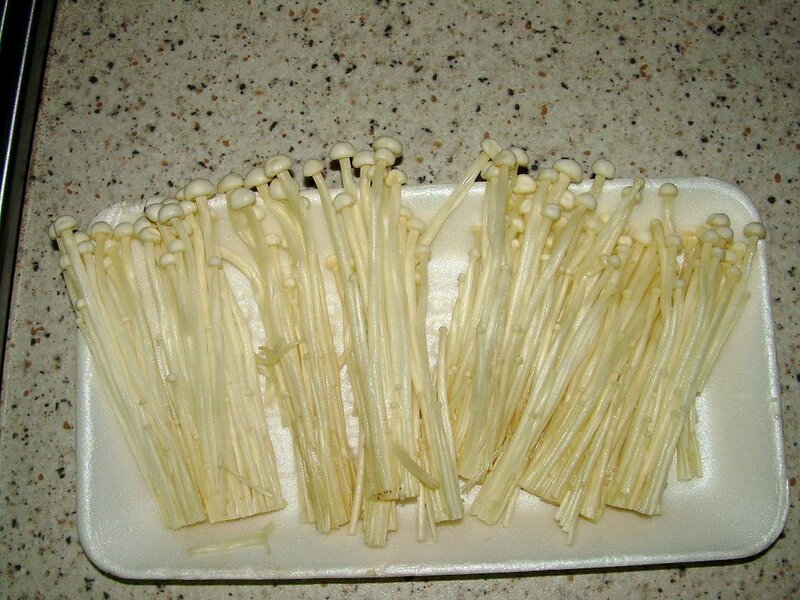 I like to eat enoki mushrooms. They are also known as “kim cham” mushrooms (meaning golden needles in hokkien) as they are longish with a small cap. These mushrooms are sometimes added to soups like Bak Kut Teh and commonly used in Japanese cooking. The stems have a crunchy bite despite it being rather thin and needle-like in appearance. 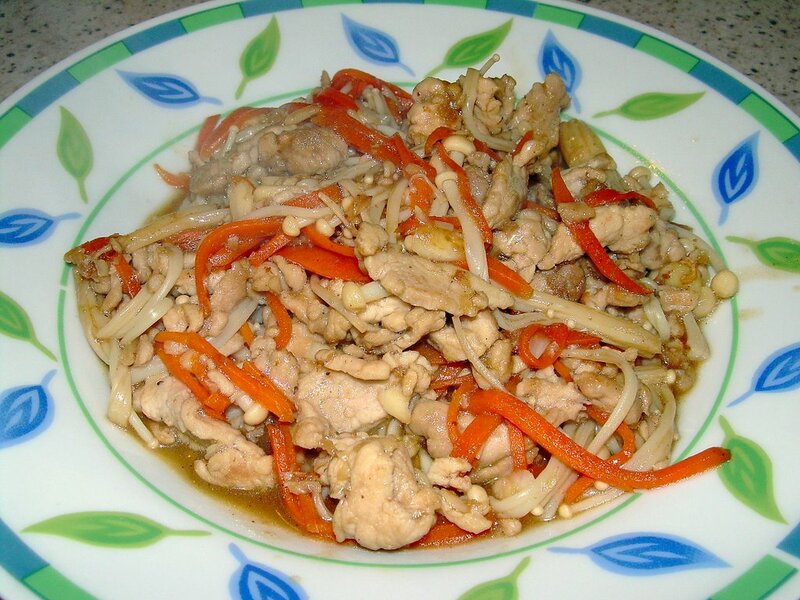 It has a mild and delightful flavour and compliments well with meat dishes. 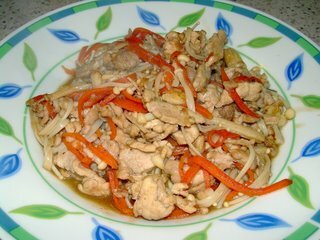 I usually cook enoki mushrooms with meat, pork tenderloins to be exact. You can substitute the meat with chicken breasts. 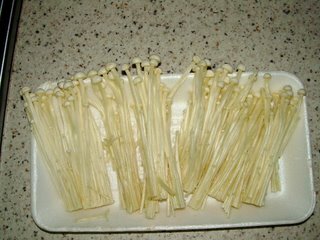 The enoki mushrooms are added in towards the end of the cooking time as too much cooking will render the stems tough and stringy. Marinade pork tenderloin for about 30 minutes. Heat oil in wok on high heat and stir-fry the garlic till beginning to brown. Add pork tenderloin and carrots and stir-fry till meat is almost cooked. Add oyster sauce and salt to taste followed by water and bring gravy to boil. Then add the enoki mushrooms and chinese cooking wine and stir well for 30 seconds. If it is too dry to your liking, add a little bit more warm water. If the gravy is too runny, add a tablespoon of corn starch at a time. Serve hot with steaming white rice.